Juices & Preserves There are 39 products. The BioFood company processes vegetables and fruits that comes from organic farming. 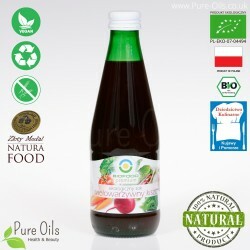 In a wide range of their offer there are lacto fermented vegetable juices, which are the source of many nutrients, vitamins, minerals and valuable compounds such as anthocyanins. As they have a positive effect on our health, lacto fermented vegetable juices should be in our menu throughout the whole year. 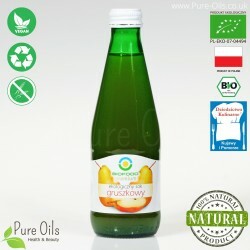 Juices that were made of lacto fermented vegetables, they are natural probiotics that are a source of lactic acid formed as a result of fermentation. Strains of probiotic bacteria has a positive effect on the intestinal bacterial flora protecting against fungal infections and removing toxins from the body. In addition lactic acid supports digestion and supports metabolism. Juices from lacto fermented vegetables restore the acid-base balance in the body and increase our immunity. 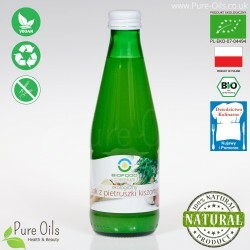 When you buy lacto fermented vegetable juices you need to be sure they are pressed - Not made from a concentrate - it is very important for our health. 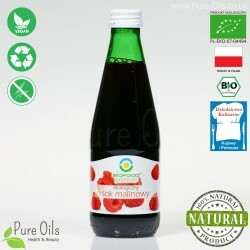 Pomegranate Juice comes from organic farming and has a BIO Certificate No. PL-EKO-07-04494. 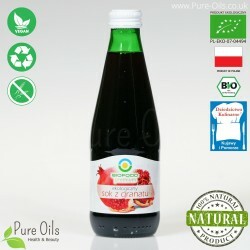 The juice is formed by pressing pomegranates. This product is a 100% natural. Not from concentrate. 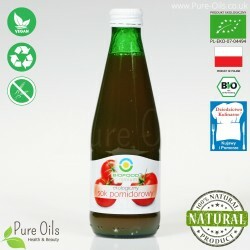 Tomato Juice comes from organic farming and has a BIO Certificate No. PL-EKO-07-04494. The juice is formed by pressing tomato on the press. This product is a 100% natural. Not from concentrate.